As part of Innova Solutions commitment to the environment we continuously work on improving the environmental performance of our products. In recent years the focus of our environmental programme has been focused on chemicals management and the recyclability of our products. As such we work within the framework of the REACH & RoHS directives, consequently, we monitor the individual components that go to making up our adhesive products and comply with any substance restrictions that are introduced via the said directives. 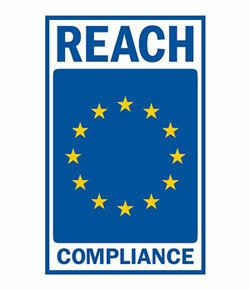 REACH is a European Union regulation concerning the Registration, Evaluation, Authorisation and restriction of Chemicals. It came into force on 1st June 2007 and replaced a number of European Directives and Regulations with a single system. The sole purpose of REACH is to address the production and use of chemical substances, and their potential impacts on both human health and the environment. REACH requires all companies manufacturing or importing chemical substances into the European Union in quantities of one tonne or more per year to register these substances with ECHA. Chemical producers are required to register safety data for all chemicals produced. This information is communicated to the European Chemicals Agency (ECHA) through a registration dossier containing the hazard information and, where relevant, an assessment of the risks that the use of the substance may pose and how these risks should be controlled. ECHA & Experts from member states and the European Agency evaluate safety data for higher volume chemicals and other chemicals of concern. aims to assure that the risks from Substances of Very High Concern are properly controlled and that these substances are progressively replaced by suitable alternatives while ensuring the good functioning of the EU internal market. RoHS is the Restriction of the Use of Certain Hazardous Substances (RoHS) in Electrical and Electronic Equipment (EEE) Directive (2011/65/EU) transposed into UK law on 2 January 2013. There is often confusion between the two, so for clarity the main difference between RoHS and REACH is that RoHS bans substances that are present in electrical equipment that is within the directive. REACH, however, pertains to all chemicals including those used to make a product. This can include materials, solvents, paints, chemicals, and more.